SKU: V19. Categories: Apologetics, Videos. This interactive group study is an engaging, easy-to-follow, well-reasoned, “plug and play” seminar with all you need to train a group in the art of pro-life persuasion. You get five one-hour interactive training segments on DVD plus comprehensive student and teacher manuals in PDF format on CD-ROM. 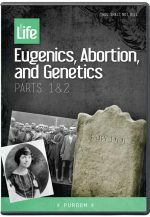 It includes discussion, role-playing, tactical tips, self-assessment and more – everything needed to equip your group to defend the pro-life position. 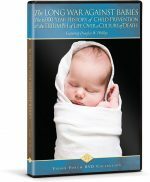 The scientific and philosophical cases against abortion are covered thoroughly. You’ll also learn how to answer the objections pro-abortionists use. 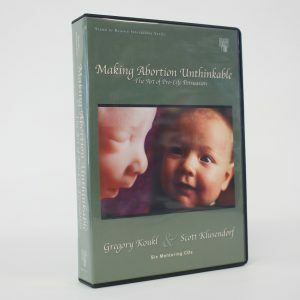 Available separately are the Making Abortion Unthinkable Mentoring CDs and mp3 download for supplemental study and individual review of the material.